The Eagle-Grip 1 series of lift truck attachments utilize a light duty single automatic clamping mechanism for handling any size steel or plastic chimed drum. 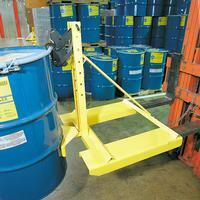 All models are knockdown units which bolt together, but are typically shipped assembled and ready for use. 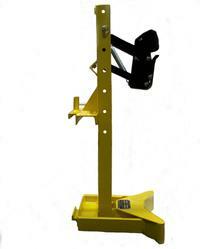 The fork pockets and safety chain provide a quick and easy installation to any lift truck. All EL-EG1 models are recommended for light duty applications and not intended for use in high volume drum handling. 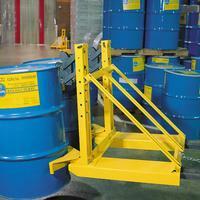 The Model EL-EG1SCM-CM is a carriage mount model that can fit any ITA class II carriage or walkie stacker. 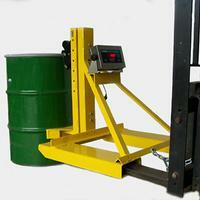 For walkie stacker applications, please specify the brand and type of carriage. Optional belts are available to eliminate any cosmetic damage to the lower side of the drum. Note: Scales are available on 2-Drum units please call ZORIN (888) 378-6525 for details.